Mountain State Law attorney Sam Harrold loves to help people who have been taken advantage of. In the case of the demotion of Sgt. Tim Ankrom of the Harrison County Sheriff’s Department, that help came in the form of winning a key battle yesterday. The Harrison County Civil Service Commission for Deputy Sheriffs abused its discretion or reached a clearly erroneous decision in upholding the demotion of Sheriff’s Sgt. Tim Ankrom, a judge ruled Tuesday. Albert Marano, sheriff of Harrison County at the time, demoted Ankrom on March 20, 2015; the Civil Service Commission heard the case June 17, 2015, and July 20, 2015; and the panel on Nov. 2, 2015, upheld Marano’s findings that Ankrom had violated rules for chain of command, inattention to duty and request for service. “While a strong presumption favoring the Commission’s decision arises in this case, this Court finds that the Commission’s decision was ‘arbitrary and capricious’ and against the clear weight of the evidence, facts, and relevant law,” Special Judge Russell M. Clawges Jr. of Monongalia County wrote. The decision is a major victory for Ankrom and his attorney, Clarksburg private practice lawyer Sam Harrold III of Mountain State Law. If it stands, it means that Ankrom, who has continued to work, would be due backpay for sergeant instead of deputy dating to late 2015. Harrold also likely would seek attorney fees from the county, and Ankrom might argue that, had he been a sergeant throughout this period, he would have tested for lieutenant. 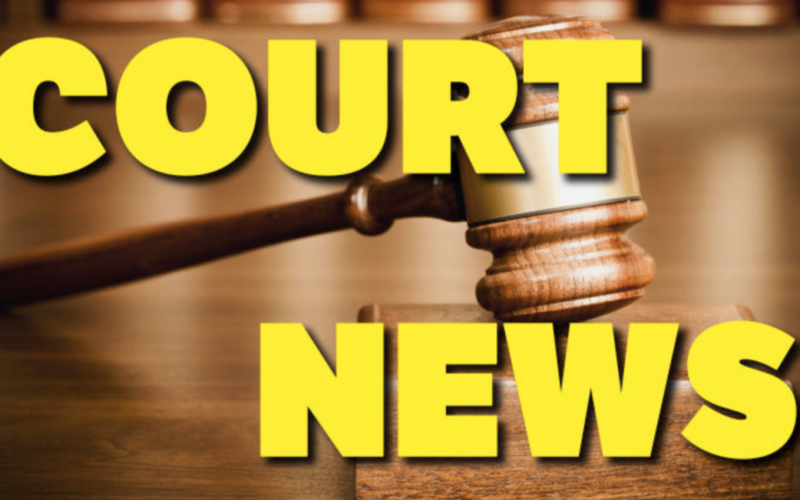 The county could appeal the case to the state Supreme Court, adding to the large volume of hours that Assistant Prosecutor Andrea Roberts has spent on the case on behalf of Marano. The current sheriff, Robert Matheny, said he has met with Ankrom, as well as Roberts, after receiving the ruling, and would meet with Roberts again later this week to decide what to do going forward. A message left for County Commissioner Bernie Fazzini wasn’t immediately returned. Roberts declined to comment on the case Tuesday. A message left for Prosecutor Rachel Romano also wasn’t immediately returned. “We are very pleased with Judge Clawges’ ruling and hope that Sheriff Matheny and the Harrison County Commission agree with his conclusions,” Harrold told The Exponent Telegram. “The disciplinary charges brought against Sgt. Ankrom and also Lt. (Greg) Scolapio) by the prior administration were completely unjust and unwarranted. Marano decided to demote Ankrom, as well as fire Scolapio (who was Ankrom’s superior in the Harrison County Courthouse security chain of command), over their response to another deputy’s finding of an unattended lunch cooler on the fourth floor of the courthouse. Ankrom and Scolapio decided that Joe Carbacio, who they said they believed was in charge of courthouse security, was the logical person to handle the matter, and Ankrom contacted Carbacio. Marano contended that was a breech in the chain of command, but Clawges disagreed. The ruling by Clawges on this point likely also would bode well for Scolapio, since the state’s evidence ostensibly would be the same for his case. Scolapio, after Harrold successfully argued before the state Supreme Court, is due to receive a full evidentiary hearing from the Civil Service Commission for Deputy Sheriffs. Clawges came down strong on Ankrom’s side in connection with Marano’s allegation that Ankrom had been inattentive to his duty. Marano asserted Ankrom could have left his post as a bailiff for Family Court to respond to the unattended lunch-cooler incident, and the Civil Service Commission backed Marano. “The testimony supports Sgt. Ankrom’s contention that he could not leave his post as Family Court and as evidenced by this Court’s conclusion to the remaining issues raised have concluded that Sgt. Ankrom’s actions were not of a substantial nature and were mere technical violations without wrongful intention,” the judge wrote. That also could apply to Scolapio’s case. Also, the Civil Service Commission backed Marano’s contention that the bailiff who had called about the unattended lunch cooler had made a “bona fide request for police assistance” and that Ankrom should have investigated instead of commanding Carbacio to do so. Clawges disagreed, noting the fourth floor was never cleared, that a witness said the bailiff who found the cooler seemed “casual and nonchalant — not stressed out — about the cooler and its unknown owner,” and that the bailiff who found the cooler could have texted the other bailiff on the floor, who had put the cooler, a juror’s lunch box, where it was located. Again, this also would appear to favor Scolapio. Ankrom and Scolapio have a separate lawsuit pending against the Harrison County Commission, Marano and some of his key deputies at the time. 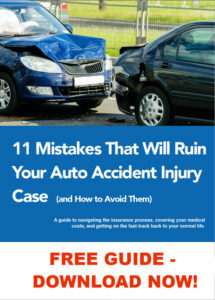 FREE AUTO ACCIDENT GUIDE – DOWNLOAD NOW!